Studies involving animals are a crucial component of medical research, and without them our understanding of disease and suffering would be decades behind where we are now. However, scientists must always reflect on their work and ensure that animal studies are carried out with the best design, compassion and rigour possible, so animals are not involved in experiments needlessly. Just as our understanding of science has improved over the years, so has our understanding of scientific methods. In an effort to increase the quality and effectiveness of animal research, the NC3Rs – a UK organisation devoted to promoting the Replacement, Refinement and Reduction of animals in research – created the ARRIVE guidelines in 2010. These guidelines provided researchers with a set of rules on how to report animal experiments, ensuring that animals were used effectively and humanely. So far over 600 journals have signed up to the ARRIVE guidelines. Although there are no quantitative analyses of the effectiveness of the ARRIVE guidelines, they have undoubtedly provided an important framework for animal studies that previously didn’t exist, and have made it harder for poor science to go unnoticed. Following the success of the ARRIVE guidelines, the NC3Rs has continued its efforts to reduce, refine and replace the use of animals in research. Recently, the organisation has released an innovative new piece of software, the Experimental Design Assistant (EDA). 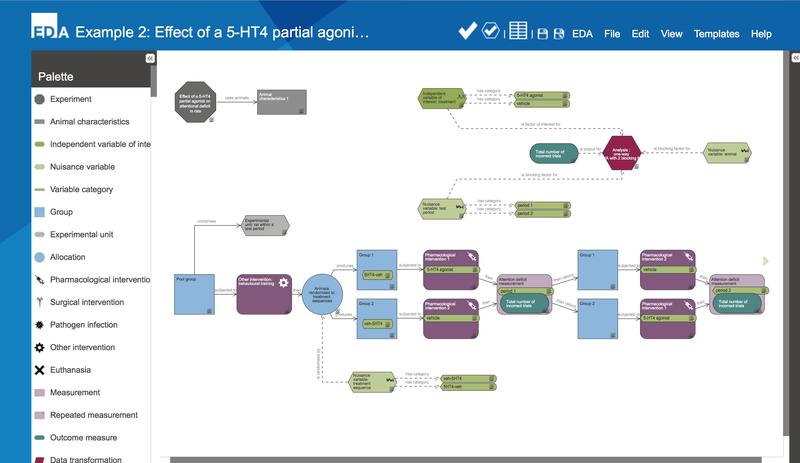 The EDA allows scientists to plan out their experiments thoroughly and visually, mapping out every aspect of the study from the earliest hypothesis to the last statistical analysis. While the user is completing their experimental plan, the EDA will analyse the study and provide feedback. The feedback includes whether the number of animals involved could be reduced, whether experimental groups are correctly distributed, whether statistical analysis is appropriate, and much more. Already the EDA has over 400 registered users. Overall, the EDA will refine animal studies and could potentially reduce the numbers of animals used in research while simultaneously improving the quality of science that results from animal studies. Not only does the EDA aim to improve the quality and effectiveness of animal research, it also aims to increase transparency. The EDA could one day allow funding bodies and independent regulators to observe experiments being designed in real-time. Additionally, experimental designs could, perhaps, be made available to the public, alongside the brief descriptions of each research project that are currently in the public domain. This sort of transparency can help to build trust in scientists and animal research. I’m investigating how the Aspergillus fumigatus fungus is involved in severe cases of asthma. My project started using epithelial cell culture, where we exposed these cells to Aspergillus fumigatus spores. This gave us a lot of interesting results but also raised more research questions. Many of these questions could not be answered using the simple cell culture model. In order to study a chronic condition such as asthma and ask more complex research questions, longer study durations are necessary. Therefore the only way to answer these questions was to use an animal model. Researchers should be especially diligent when planning studies involving animals, to ensure the maximum gain in terms of meaningful data while using as few animals as possible. The EDA will ensure the numbers of animals used in an experiment is kept to a minimum while still obtaining reliable and reproducible data. Briony is typical of many animal researchers; she is aware of the importance of reducing and refining the use of animals in her studies. 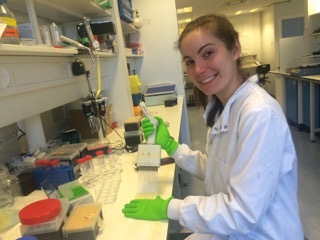 By using the EDA, Briony knows her experiments can be improved while minimising the number of animals involved in her study. The EDA is clearly an important tool for researchers, but is not without limitations. In its current, early stage, the EDA relies heavily on randomisation, paying less attention to counter-balancing (controlling for the order in which treatments are given), and other crucial aspects of thorough experimental design. In a similar vein, the EDA focuses more on reducing the number of animals used, when just as much effort should go into refining the studies in question. Refining the use of animals involved in research will undoubtedly increase the scientific value of such studies, and this should be a focal point of research tools like the EDA. It is also important for scientists to retain some autonomy in the process of experimental design, and not rely entirely on software to design studies for them. Scientists using the EDA still need to understand their study in sufficient depth for the EDA’s statistical analysis to be effective. Ideally the EDA will be used as a companion to scientific rigour, rather than its replacement. Research isn’t perfect, and it probably never will be as long as scientists are imperfect. But tools like the EDA will help to ensure that animals involved in research are kept close to a minimum, and that the medical and scientific value we obtain from them will continue to change lives for the better. Anyone can access the EDA. Follow the simple registration process here to begin designing your experiments. Posted on July 6, 2016 July 6, 2016 by EditorPosted in NewsTagged EDA, Experimental Design Assistant, National Centre for Replacement, NC3Rs, Replacement.